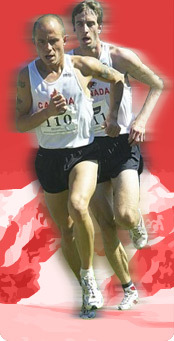 The CTMRA has opened the bidding for the 2012 Canadian Mountain Running Championships which will also be the 9th NACAC Mountain Running Championships. The race will be held in July 2012. The race will be an all-uphill race. Applications should be submitted by October 30, 2011. Kristopher Swanson was the top Canadian at the end of the second lap, but had heat exhaustion and was taken to the hospital after the race. Unfortunately, James Gosselin was forced to drop out of the race after the first loop. He had food poisoning the day before the race which contributed to him straining his back on the first descent. He will be looking for redemption at the Commonwealth Mountain Running Championships on September 24th in Wales. Canadian men were 11th out of 17 teams. There were 102 finishers in the men's field, with a number of people having dropped out. There were 52 finishers in the women's race, again with a number of people having dropped out.